With Labor Day just around the corner, it seemed appropriate to prepare one final cold pasta salad before bidding farewell to summer. 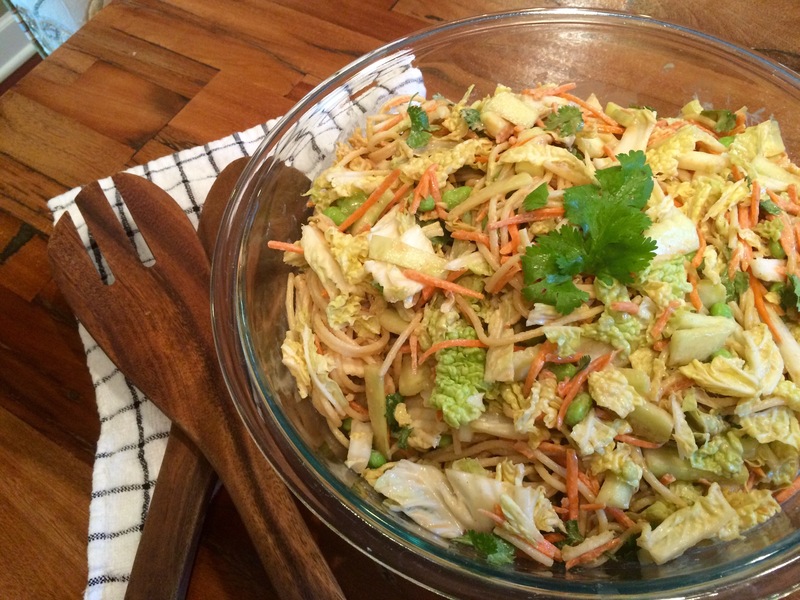 This fresh Asian salad uses good old spaghetti, roughly chopped cool Napa cabbage, crunchy shredded carrots and whole edamame for a family-friendly feast. It’s tossed in a velvety smooth salty peanut butter dressing and is dreamy for a picnic or in the fridge as leftovers. It’s also easily adaptable if you want to throw in fresh peanuts, diced apples, cucumber, peppers or other favorite ingredients. 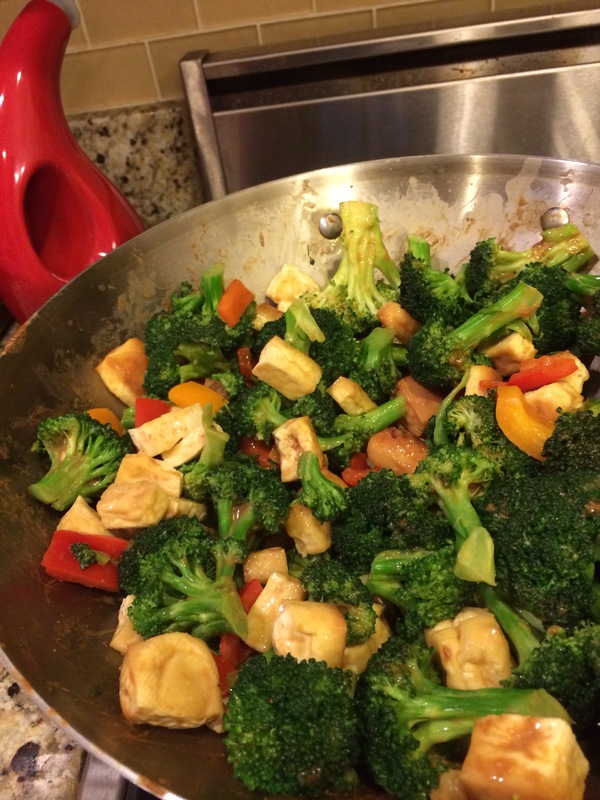 The secret is the amazing peanut sauce, which you could also use as a nice tofu marinade. I like to have some spicy garlic chili sauce on hand to throw on top. So simple! In a small mixing bowl combine all ingredients for peanut sauce and briskly whisk with fork for 2-3 minutes until it is a smooth, consistent texture. 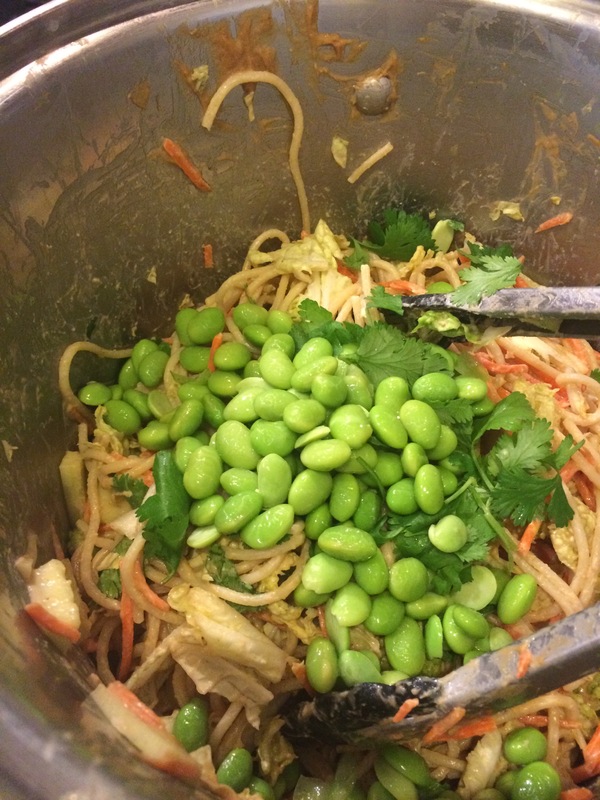 In large serving bowl combine cooked spaghetti with fresh salad ingredients, then toss in peanut sauce and thoroughly combine using tongs. Serve fresh!